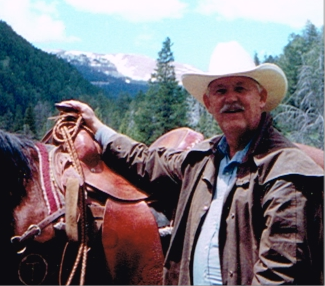 Doc’s intriguing experiences gained from a lifetime of ranching, training horses, and exploring the Tetons Wilderness are reflected in his books. He portrays the Native American Indians and other individuals as real people, not mere caricatures. Doc’s novels are fast moving dialogues in which he paints grand pictures of romance, action, adventure, and intrigue where the “good guy” actually is a good guy who’s natural goodness finally brings him out on top. 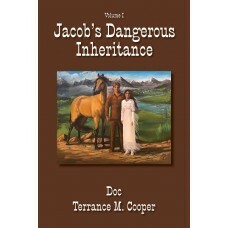 Doc’s stories will touch your heart and uplift your soul. His books are family oriented, clean, wholesome and exciting for any age to read. If you want to experience a great read and feel better about life, read a book written by ‘Doc” Cooper. 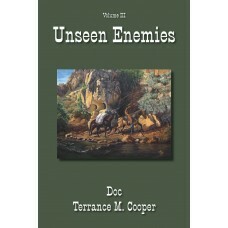 Terrance M. Cooper joined the Marine Corps in 1959. After he got out of the Marine Corps, he spent two and a half years in Samoa as a missionary for the LDS Church. He returned to the states and immediately entered college. When he finished, he entered Palmer College of Chiropractic in Davenport, Iowa and graduated in 1970, becoming a Doctor of Chiropractic. It was then that he met his wife, Julie Ann, on a blind date. He saw her twice, and on the third date he proposed to her and she accepted. They were married three months later. They have been married for forty-five years; they have six children, thirty grandchildren, and three great grandchildren. He currently lives in Parowan, UT. This novel is historical fiction, with romance, adventure and plenty of action. This is an LDS.. 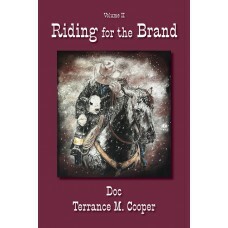 Riding for the Brand is the second volume in the Jacob Series in which Jacob s nemesis turned out t..
With the war starting, horses were the main source of transportation, and horseflesh was going at a ..